With the efficiency that technology and the interconnectedness of contemporary society brings, it is all too common to become a slave to the work. A slave to the instant communications and pings of notifications to the point where productivity is usurped by inefficient “multi-tasking” and your day quickly fills, but little seems to get done. Discovery Litigation Services brings the control of technology back to you to make your work productive, quick, and efficient while increasing the quality you get. We make it easier while getting you better results. Don’t let the demands of the big city pull resources away from your team. Discovery offers the best court reporters on demand, top-notch legal videographers at the touch of a button, and a team of strategists and legal staff that will tirelessly work to bolster your efforts anywhere your deposition needs to be. 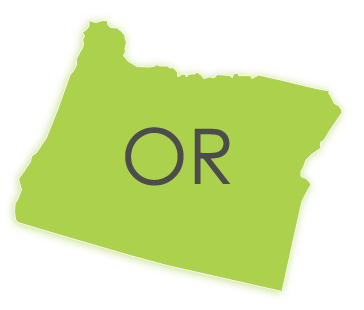 Discovery Litigation Services’ Oregon Court Reporters will cover your depositions anywhere in the State of Oregon and we will even provide the conference room. Discovery Litigation Services views every relationship as a partnership. We understand the pressure our clients are under. Our job is to relieve as much of the load as possible. Having the experience of having managed hundreds of thousands of depositions globally, we draw upon a depth of experience as we handle your requests professionally, promptly and courteously. With each case and each client having unique needs, providing top-rated court reporters, videographers, and interpreters is our default. Having always been at the forefront of litigation technology, we have the ability to deliver the latest solutions that are cost effective and compelling. All exhibits are provided in an OCR text-searchable format and hyperlinked to the transcript. Load files for litigation support packages such as Summation or LiveNote are included. All videotaped depositions are synchronized to the text at no additional cost. More than just the usual repositories, Discovery Litigation Services provides solutions that allow for litigation teams to work collaboratively on all case documents. Discovery Litigation Services is founded by a court reporter. Managed by seasoned professionals, we understand the importance of providing highly-rated professionals to cover your depositions. Discovery court reporters understand the importance of their role the deposition process. Our Oregon professionals are certified at the state or national level. Our highly skilled court reporters in Oregon and across the country look forward to supporting you wherever you deposition takes place. Our court reporters handle a multitude of depositions every year. Discovery Litigation Services court reporters in Oregon have years of on-the-job experience. Their unmatched professionalism gives you the support you need for your deposition. Discovery Litigation Services Oregon court reporters are the impartial guardians of the record. The experience and professionalism of our court reporters are the keys to producing a quality transcript in a timely manner. Don’t replace quality with complacency. Discovery Litigation Services will absolutely provide you with the best litigation services and experts in Oregon.